Penalty saves set for record season? 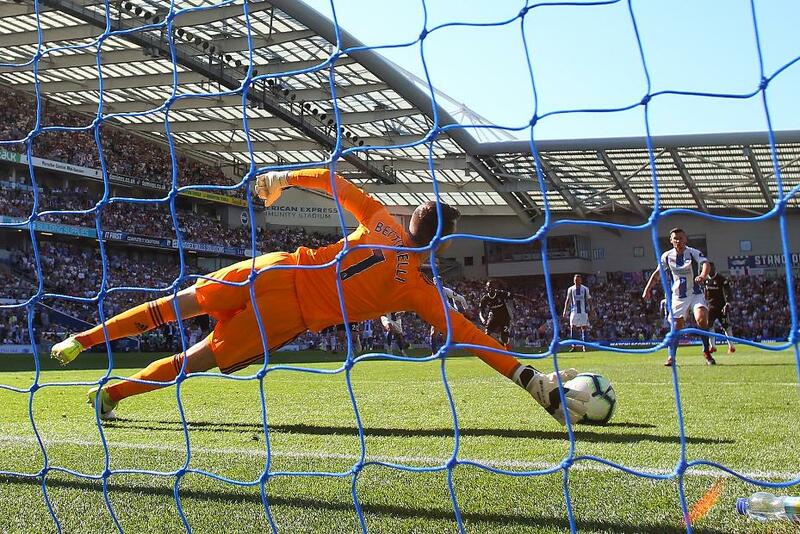 Penalty takers in the Premier League seem to be getting more accurate from the spot, but research shows the downside is that more spot-kicks than ever are being saved. With over 10 per cent of the 2018/19 season gone already, goalkeepers are on course for their best season ever in the face of penalties. More than a third of spot-kicks taken this season have been saved. In total, five out of 14 penalties have been kept out by goalkeepers, a save rate of 35.7 per cent. Fulham's Marcus Bettinelli, pictured, Burnley's Joe Hart and Crystal Palace's Wayne Hennessey have all denied a penalty taker this season, while Cardiff City goalkeeper Neil Etheridge has done so twice already. The record save percentage for penalties in a campaign is 26.3. That happened last season when 21 out of 80 penalties taken were saved, with three missing the target. This season’s total of five saves is only two short of the total of seven that were saved throughout the whole of 1997/98, when 72 penalties were taken. The overall save rate of penalties across all the Premier League seasons is 17.7 percent, with 407 saves from 2,296 penalties. So far none of this season’s 14 penalty takers have missed the target. The lowest number of missed spot-kicks in a season came in 2003/04, when only two were off target. So, perhaps in their desire to avoid shooting wide or over, players are over-compensating and placing the ball too near to the goalkeeper.